With the party season just around the corner, it’s time to get in the party mood. You’re excited and you have your sparkly dress ready…but is your skin party-ready? The more parties you attend, the more you drink and eat, the less sleep you have and the more your skin will show the signs of excess. We have gathered the best seasonal skin saviours because what better way to achieve the festive spirit than with a glowing complexion? With the party season just around the corner, is your skin party-ready? We have gathered the best seasonal skin saviours to give you that glowing complexion. 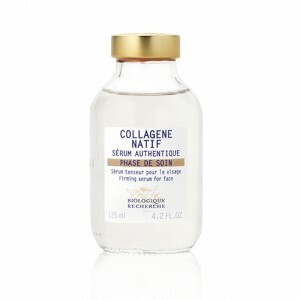 Getting rid of dead skin cells from the surface of your skin is essential to smooth and illuminate your complexion. Exfoliate daily using our Lotions P50. 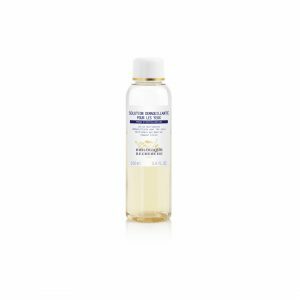 Your skin will be clear of any dry patches you may have, and your makeup will go on more smoothly – meaning no more flaky bits! Exfoliating your skin also means that your other skincare products can be absorbed more easily, it is a key step in the pre-party preparation. 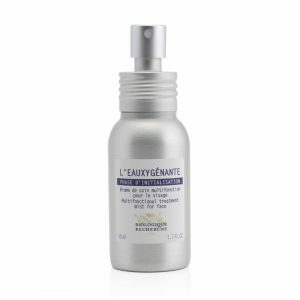 For makeup that lasts longer and a youthful-looking skin, spray our L’Eauxygénante mist before going out. A big festive fallout is the lack of sleep and good diet that leads to a lacklustre complexion. 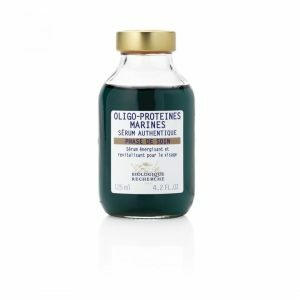 Give your skin a boost with energising skincare products such as the algae-based Sérum Oligo-Protéines Marines and Crème Hydravit’S. Once a week, take the time to give your skin a helping hand by applying a face mask such as the oxygenating Masque VIPO2 to provide a real ‘pick-me up’ for your skin and super-charge your skin’s radiance. During the festive period it’s easy to indulge in everything from salty foods to alcohol, but these parch your skin out. Although we are advocates of drinking plenty of water for your body to function and also to make a difference to the skin, it is as important to restore your skin’s moisture levels by using tailored skincare products. 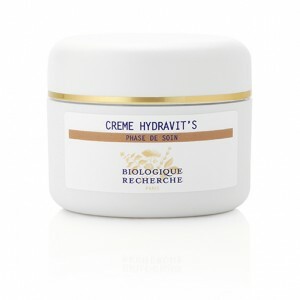 Of course, a good old-fashioned face cream such as the Emulsion Originelle Régénérante is necessary to comfort and replenish your skin at this time of the year but think about adding a serum to your skincare routine; they are much more concentrated and potent. 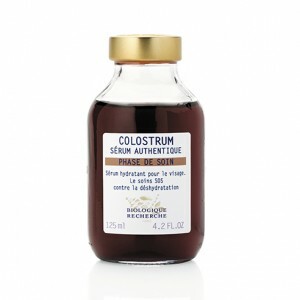 Our hydrating Sérum Colostrum and our water-binding Sérum Collagène Natif will help to plump up the skin from within to give that more youthful and healthy appearance whilst avoiding the formation of fine lines due to dehydration. Spots have a habit of appearing at the worst possible time… but keep calm and refrain from giving them a squeeze. 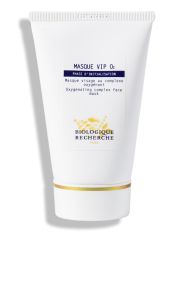 To keep skin clear before the party, rather use our Biomagic Mask; not only does it purifiy your skin, but also makes you glow on special occasions. 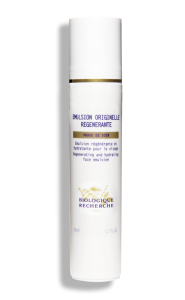 If an unexpected blemish has already showed up and you need to clear it up fast, then opt for our antibacterial Complexe Iribiol. Offering a complete action on imperfections, it will reduce the size and redness of the spot, decreasing chances of infection in other areas and promoting cell renewal for better healing. Alcohol, spicy food and sleepless nights can worsen conditions such as rosacea, leading to flare-ups and bright red cheeks. If your lifestyle is getting out of hands, make sure you provide your skin the help it needs. 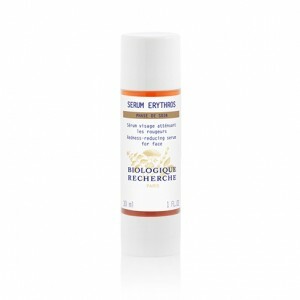 Our Sérum Erythros is the best product of our range to zap redness and soothe the inflamed skin. 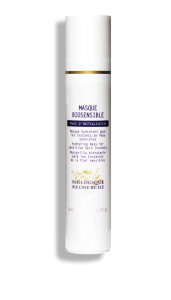 The Biosensible range and particularly the Masque Biosensible can also provide great comfort and its content of Hyaluronic Acid will bring moisture back to your alcohol-induced dehydrated skin. Late boozy nights often lead to puffy, overtired eyes. 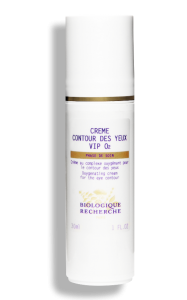 Ban dark circles by applying our Sérum Oligo-Protéines Marines followed by our Crème Contour des Yeux VIP O2 in the morning. 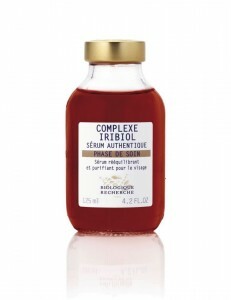 If you wake up with puffy, baggy eyes, then opt for the Sérum Placenta. BUT the perfect global cure for those tired eyes is our Patchs Défatigants. This eye sheet mask is designed to brighten this delicate eye area, instantly erasing signs of ageing around the eyes including crow’s feet. 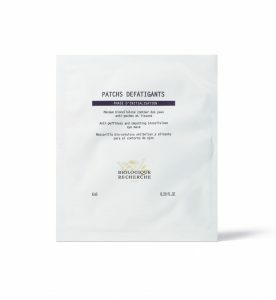 Patchs Défatigants are intensely hydrating and will provide the eyes ultimate comfort. Your tired peepers will be thanking you! Your body often gets neglected as soon as it gets covered under layers of clothing, but the party season can be skin revealing. 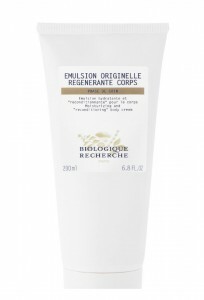 For beautifully radiant and veil-protected legs, choose the lightweight and non-greasy Emulsion Corps VIPO2. 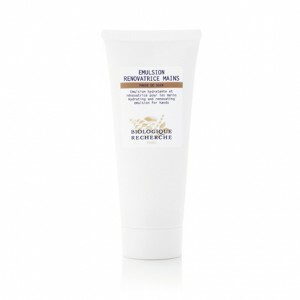 This body emulsion offers lasting hydration to last you until the early hours! 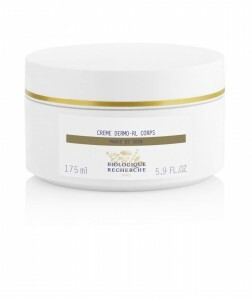 To say goodbye to unsightly dry heels and feet, pick a more nourishing body cream such as the Emulsion Originelle Régénérante Corps or the Crème Dermo-RL Corps. Hands and lips can be easily forgotten in a skincare routine, but actually suffer from the most exposure to the cold. Although you may wear gloves outside and hide away your hands, there is no hiding at the Christmas party. 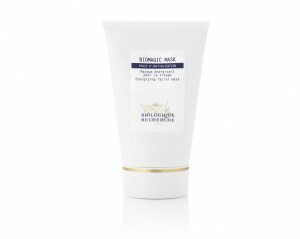 So, keep our Emulsion Mains Renovatrice hand cream in your bag for a quick moisturising boost that will leave your hands as bright as the snow. 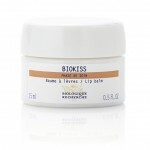 Also, make sure your lips are thoroughly hydrated and smooth with our Biokiss lip balm before applying your red lipstick for an even application and flattering look. Ensure your skin is in the best possible condition to see you through the festivities! Any more skin-saving tips in mind to begin the party season in style?